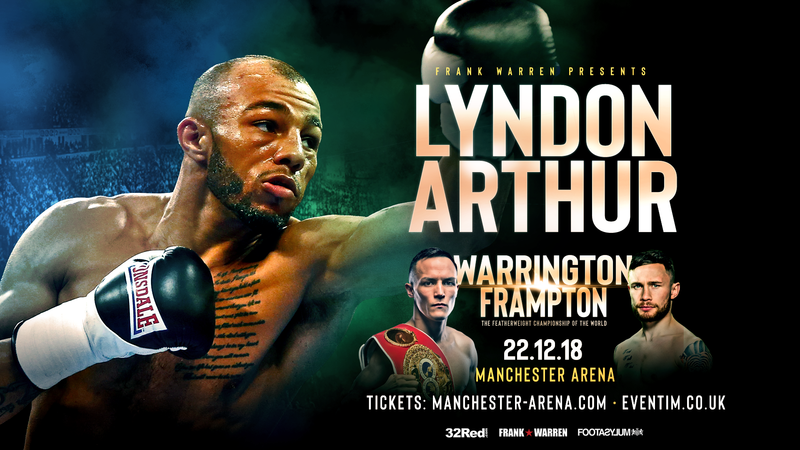 Light Heavyweight prospect Lyndon Arthur believes it is only a matter of time before he begins mixing it with his domestic rivals; also stating he’s the better fighter out of him and stablemate, Anthony Yarde and more than willing to prove it in 2019. Fight number thirteen will take place on the undercard of a big night of boxing in Arthur’s home city of Manchester when Josh Warrington when he defends his world title against Carl Frampton on December 22nd. “He’s going to have to [learn my name], he’s the one making all the noise, he’s with Frank Warren, I’m with Frank Warren also, so that is a fight I’ll be looking for. “I rate him, I’m not taking anything away from him, but I just think that I’m better.” stated 27-year-old. The light heavyweight scene in Britain is rich in talent. Along with Anthony Yarde, British champion Callum Johnson and 2016 Olympic Bronze medallist Joshua Buatsi are also potential opponents in which Lyndon Arthur believes he is more than capable in getting the better of if they were to fight. “I’m under the radar but I’m just doing what needs to be done and I’m sure soon enough you’ll be mentioning my name up there with those that have been mentioned already. “I believe I would beat them. It’s inevitable that these fights will happen. British fights are the best fights and if I keep winning and they keep winning, it’s bound to happen.